Both movies were written by Drew Goddard, but are there other connections? I understand there’s some sort of storyline connection between the movies CLOVERFIELD and THE CABIN IN THE WOODS . They both have monsters, but otherwise, I don’t get it. 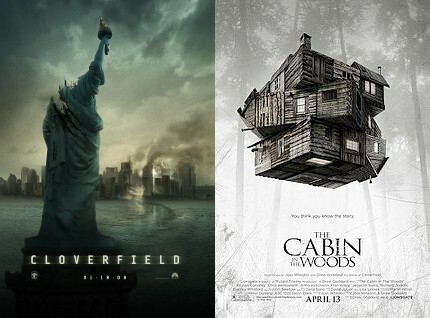 Although Drew Goddard wrote CLOVERFIELD and co-wrote (with Joss Whedon) THE CABIN IN THE WOODS, which Goddard also directed, no connection was intended by the filmmakers. However, some fans of both films contend that – well, not to be too spoilerish for those who haven’t seen one or the other or either – the events in CLOVERFIELD could conceivably have been triggered by the finale of CABIN IN THE WOODS. The name's Sara Bellum, and I'm the editor-at-large here at BuzzyMag - the hostess with the mostess, if you will. I like to think that my first calling is fighting crime and delivering a heaping dose of sweet, sweet justice to all manner of thugs, miscreants, hoodlums, ruffians, and ne'er-do-wells, but unfortunately, violent vigilantism doesn't exactly pay big bucks these days. Times are tough, my friends, and I've got bills to pay, so I decided to put my encyclopedic knowledge of all things sci-fi & fantasy-related to use to help me land a day job. To tell you the truth, it's kind of a nice change of pace. My manicures have been lasting a bit longer lately. 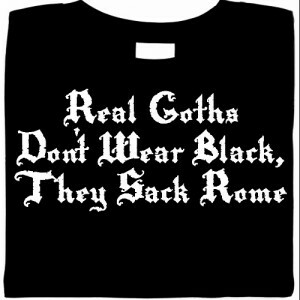 The History of T-Shirts: Where did they come from?